Zach Neese asks the question, "Why write another book on worship?" Not everyone will agree with his answer. He is correct in pointing out that many in the church are confused or misinformed about what true worship is. This is a major issue that needs to be addressed, but Neese seems to raise more questions about worship than he answers. 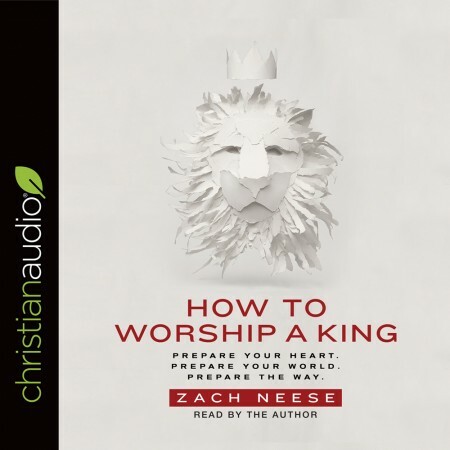 Drawing mainly from Old Testament word studies and using the Tabernacle as a guide for worship, Neese uses the biblical symbol of a priest as a model of what a modern worship leader should do. This book is geared toward worship leaders, but that is broadly defined as a Christian, since all are part of the "royal priesthood of believers." Though he is authentically and unashamedly charismatic, he has the tendency to take subtle jabs at non-charismatic believers with a jocular yet moderately condescending tone. Now you know. The greatest strength of this book is Neese's exposition of Old Testament passages on worship, especially in the Psalms, though his conclusions are questionable. He has clearly spent much time there. Though his insight into Hebrew word meanings and the significance of Tabernacle symbolism is keen and educational, one might question his interpretations of certain Scripture passages as normative. For example, is the purpose of the wilderness Tabernacle a guide for modern worship practices or is the book of Psalms meant to be a collection of ways people praise God or mandated commands? Neese seems to take the biblical commands, especially in the Old Testament, as literal commands when it says, "Sing a new song" or "shout to the Lord." It is helpful to note that the purpose of the Psalms was not to instruct the Israelites how to worship but rather provide insight into how others worshipped God. In my opinion, the weakest part of this book is Neese's insistence on the Tabernacle as the guide for New Testament worship. There is no doubt that the Tabernacle is a symbol of God's presence that we see throughout the Bible. We are indeed "priests" of God, then we have a job to do. But unlike the wilderness Tabernacle, the symbol of God's presence is no longer a building but a people. John 4:20-24, 1 Corinthians 3:16-17, and 1 Corinthians 6:19 make it clear that the temple of God is no longer a physical location but a people, God's people. Therefore, God's presence dwells within people, not places. Neese's insistence on the priest's role as ministering to God and paving the way for others to experience God's presence is speculative at best and heretical at worst. The Bible is clear that were God's people are assembled, there is His presence. We need not invoke or invite the Spirit. Just because we do not "feel" His presence does not mean that He is not there. Any teaching that asserts that the Holy Spirit must fill places or the atmosphere is simply not biblical. That was characteristic of Judaism, not Christianity. Indeed, we can learn much from the study of the Tabernacle, but one lesson we must not learn is that God's presence fills the church building sanctuary outside of His people. Despite my criticism, I would recommend this book as a guide for further study. Do not take Neese's words or even my words on the subject of worship, but do take God's Word, and take it seriously. It is also helpful that this book was read by the author and knows his own thoughts. I received this book free from christianaudio as a part of a reviewing program in exchange for an honest review.